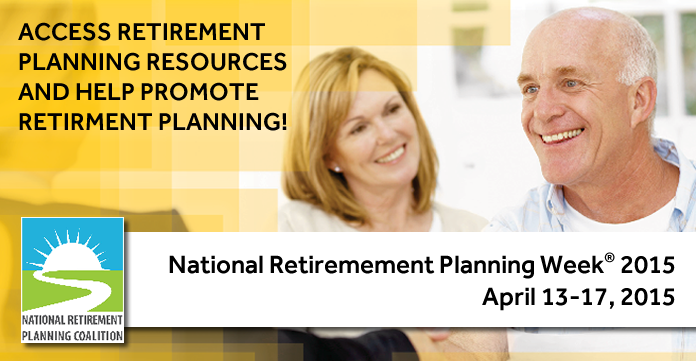 National Retirement Planning Week is coming up in April from April 13 through April 17, but this year, the organizations heading the education-filled public awareness week are adding one more element to the mix. On Thursday, April 16th, the Insured Retirement Institute and the National Retirement Planning Coalition will be partnering with HealthView Services for a day focused on the effects—good and bad—of healthcare costs as it relates to your retirement plans. As we have discussed before in previous posts, the dilemma of healthcare costs mixed with people living longer but saving less for retirement combines to make at best an imperfect situation, and at worst, a deadly one. First of all, continuing education for financial advisors and retirement planners is crucial to providing the best service and knowledge to our clients ensuring that they have the latest and greatest advantage to being fully prepared for their retirement. With the ebb and flow of markets and economic growth, not to mention the new healthcare laws, it is important for consumers to know if their retirement planning professional is not only supportive but participating in National Retirement Planning Week.